Snap(shot) Judgements are posts that will appear with no real regularity. It’s primarily a way for us to get thoughts and photos up as soon as possible, especially when we have no plan to write a feature-length column on the subject. 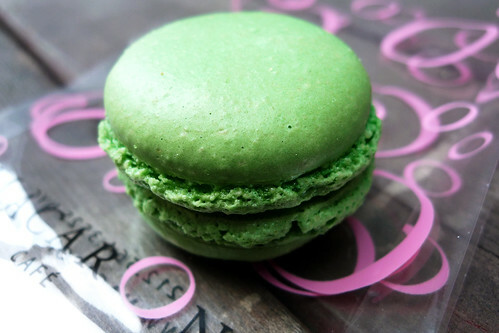 Here, Gary shows off some photos from a great day eating macarons. 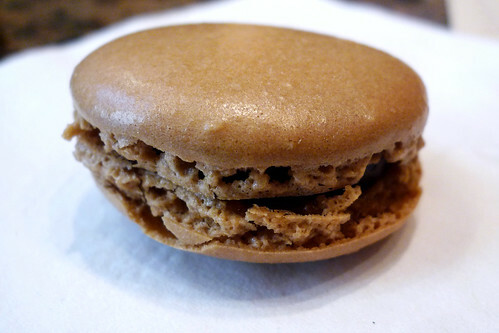 Until I visited Bouchon Bakery last November, I hadn’t had a macaron since I visited France while in college. 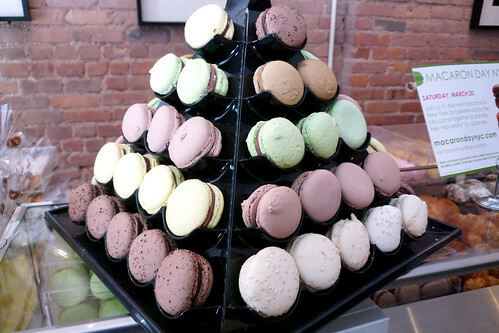 So when I read that this past Saturday was Macaron Day in New York City, I knew I’d be loading up on macarons. Serious Eats: New York made it easy for me to hit a number of participating locations with their handy Google Map. With the map loaded on my phone, I headed out on a gorgeous first day of spring to work my way through Midtown Manhattan in search of macarons. Click on the left and right arrows to see more photos from this set; click on Photos to see thumbnails for all the photos in this set. 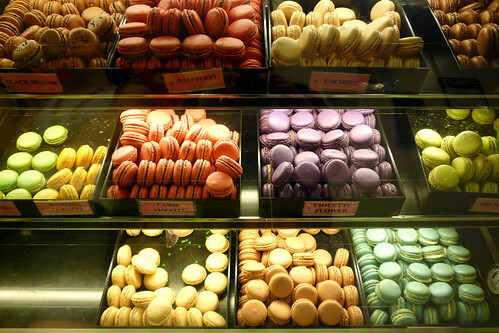 Mad-Mac had the most macarons available for visitors to see and try. 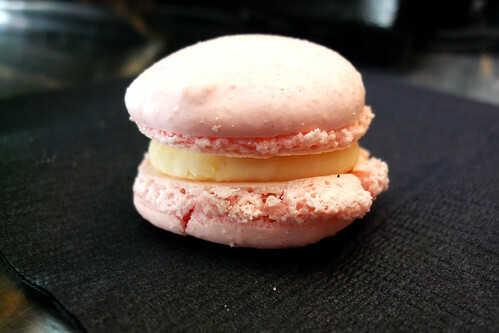 A closer look at the macarons available at Mad-Mac. 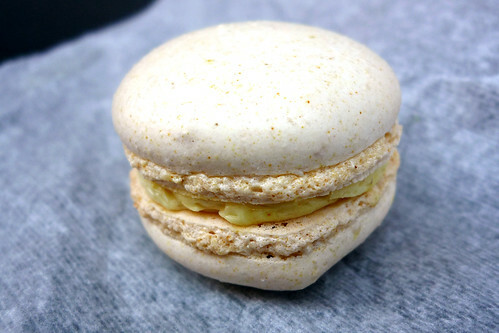 I tried the lemon macaron – I didn’t really taste any lemon in it. I honestly don’t know what rosewater is supposed to taste like but I liked this one – crunchy and crumbled the right way. 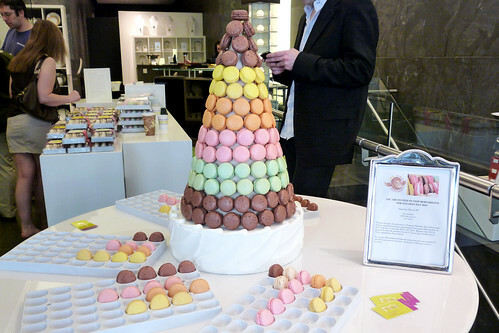 A pyramid of macarons for all to gaze at. 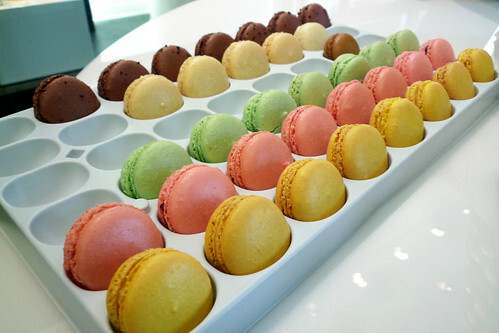 Finally, a place that makes it easy for me to bring a free macaron home! 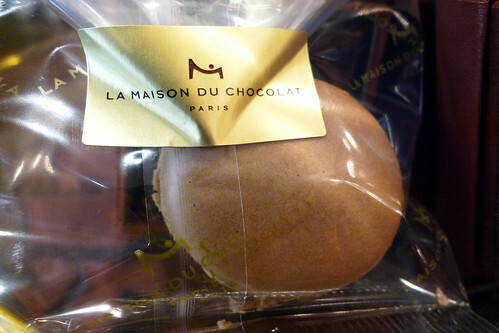 Sure, I could have taken this macaron home since it came in a nice little sleeve but I was hungry… so yeah… The coffee flavor wasn’t strong but it was light and fluffy and the filling wasn’t gummy. It tasted like pistachio but the filling was too chewy and gummy for my liking, rendering the cookie unable to complement it. This was the only flavor remaining for the promotion. Why do people always go for the safe flavors like chocolate? This tasted like ginger and the cookie was the right consistency.